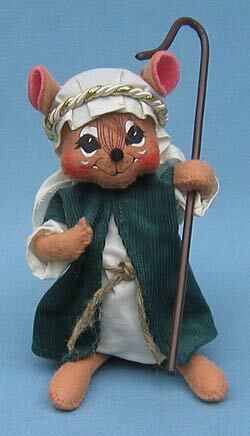 Annalee Doll Description: Brown body, muslin headpiece and outfit, green overlay, holds shepherds staff. I recommend ordering the complete set of 9, item 5442-545006. Companions are 544205, 544305, 544405, 544505, 544605, 544706, 544906 and 545006.